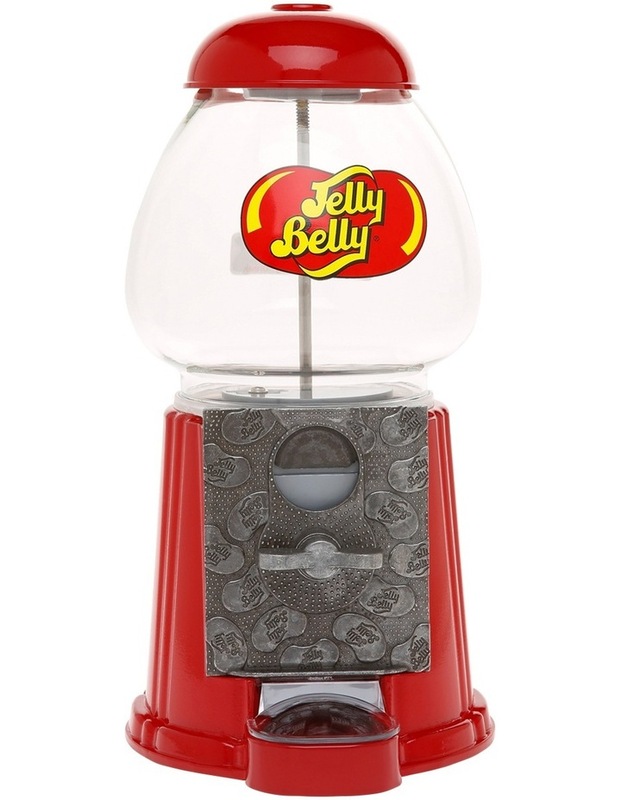 Jelly Belly Machine is a retro style jelly bean dispenser. The machine stands 25cm tall. It has a red metal casing with glass dome. 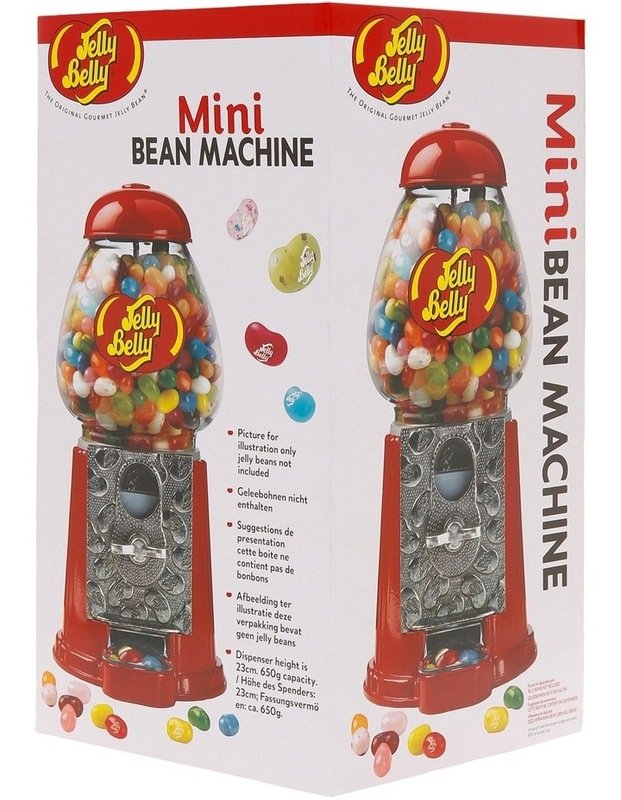 The machine can be set to be used with coins like a money box or without coins. Simply turn the knob to release beans. 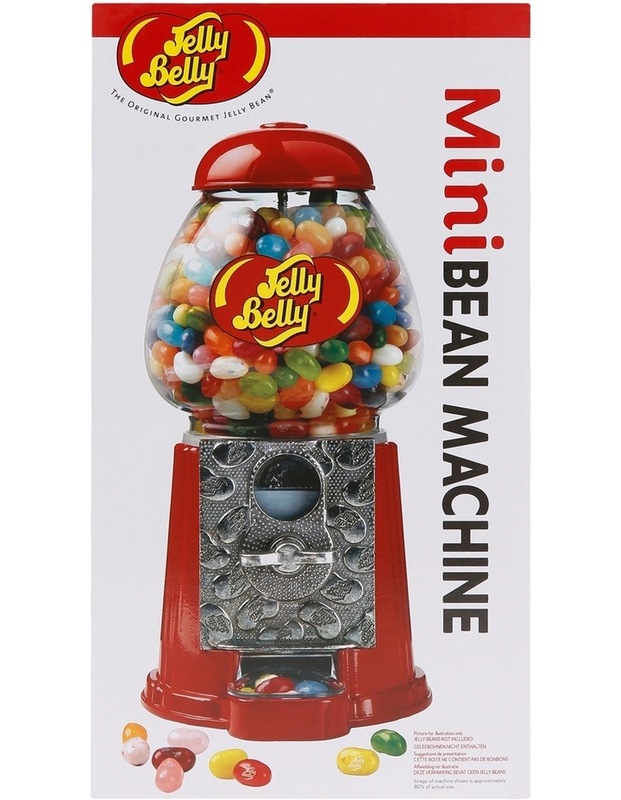 Jelly beans are not included.